Today we have a parts review and building ideas from Tyler Clites and Sean Mayo, who are well-known around the AFOL world for their incredible building prowess - and recently they've started a new venture as the designers at BuildBetterBricks.com (aka “B3”). Great to have you here guys! 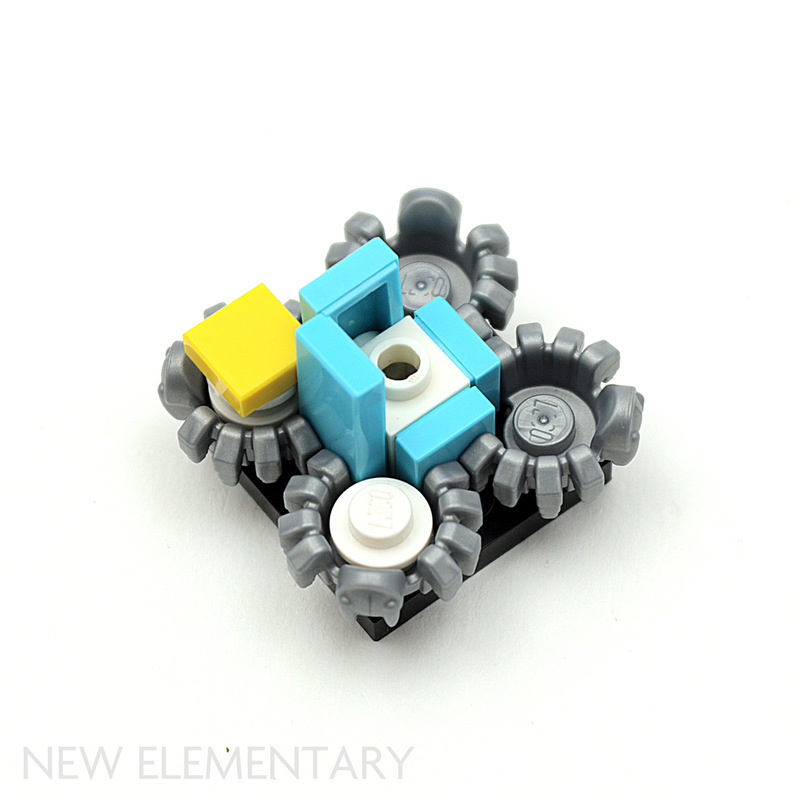 The latest 2018 wave of LEGO® NEXO KNIGHTS™sets are providing us builders with some incredible new elements. 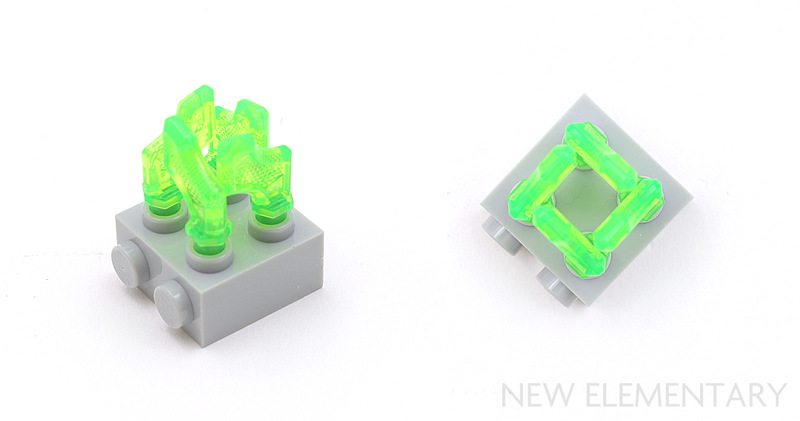 We are seeing a surge of Transparent Bright Green pieces in the ‘bad guy’ vehicles and new colors for some of the newer tile elements. But the most interesting pieces are those with the new molds we've never seen before. We've boiled this first 2018 wave of Nexo Knights sets down to three new parts, and will highlight these the most. We chose not to highlight pieces which fall into categories such as 'Here's a new type of armor and printing for Macey’, or 'Wouldn’t ya know it there's a new unique printing for a Nexo Knight shield' (as if new Nexo powers weren't the point of Nexo Knights or something, lol). 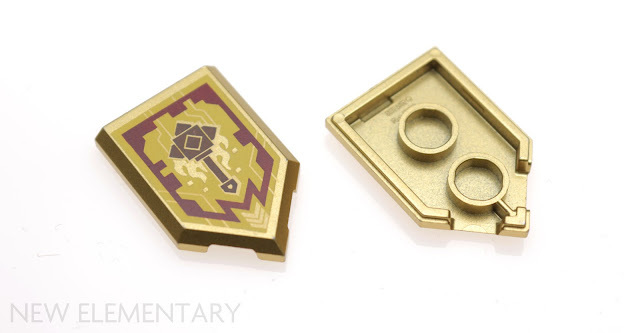 Anyways, the only thing we have to say about that kind of stuff is that the new shields are this cool part in Warm Gold [TLG]/Pearl Gold [BL], powder-coated with Gold Ink [TLG]/Metallic Gold [BL]. Also prior to getting to the fun stuff; here is a picture of some pieces whose molds have been used before, just not in these new colors or printing. Ok now were done with all those, let’s get to the three main goodies with which we're going to spend our time: a cool black plate with a curved cutout, a Nexo spider and a helmet wing. None of these scream "OMG I've been waiting for 'that' piece forever." But they are pretty cool all the same! The first piece that you probably noticed is the new 4x4 plate with the circular cutout. Obviously four of these can be assembled to create a perfect cut-out circle: exactly a 6x6. 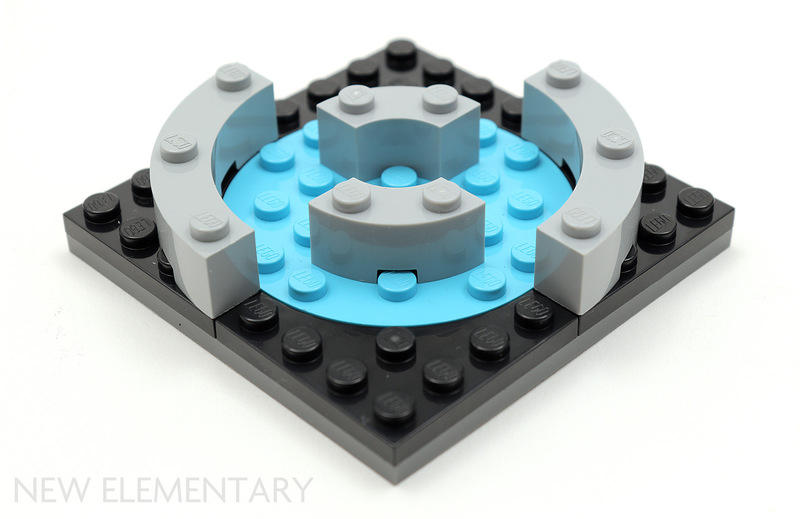 This curve is also the same as the new 4x4 curved tiles as well as the older 4x4 curved bricks. We can foresee lots of fun applications for this piece especially when it comes to creating wing shapes like this Batman insignia. The concave shape also lends itself to being used to create interesting negative space resembling diamond marquise, symmetric lenses, or eye slits. By far our favorite way to use this piece is in creating lettering and iconography. All new LEGO curved elements like the curved and rounded tiles have already proven to be crucial in creating amazing fonts, as we’ve all seen here at New Elementary with the LEGO DNA contest. This piece can be instrumental in creating some of the more complex letters and numbers like S, 9 and 6. Naturally, there are a myriad of other letters and font styles that can be created with this incredibly useful piece. We're also looking forward to seeing this piece used in logos, icons, and emblems on the sides of space ships or decorating medieval floors. Here is a fun logo example. This part comes in 72002 Twinfector, 72003 Berserker Bomber and 72005 Aaron's X-bow, and is already available at BrickLink. The next piece is this cool Nexo spider/mite/virus thing. I suppose you shoot it at the enemy and negate their shield powers or something. Either way, let’s dive right into some interesting math. 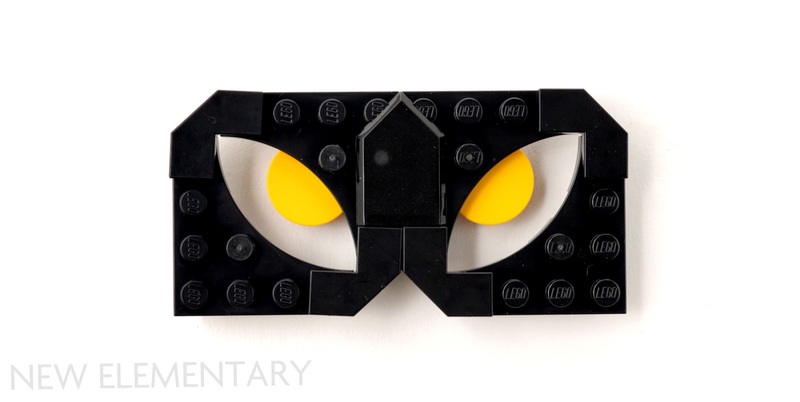 The back corner cut-out of the spider is exactly 90 degrees, but doesn’t come to a sharp point towards it's middle. Here we want to point out several things. The first is that four of these make a 'square' in the middle. Unfortunately, it isn’t a 2x2 or a 1x1 square. However it does line up around a Travis brick (1x1 brick with studs on all 4 sides) with tiles on it. This also still leaves room for a round 1x1, such as the white plate shown here. Note the perfect alignment of a 1x1 yellow tile with the blue tiles of the ‘cross’ created by using a Travis brick. Giving the corners of the yellow tile enough vertical clearance to rise above the legs required two round plates to be inserted into the back of the spider. However it only takes one round plate to stack these spiders on top of each other. This has lots of potential for greebling and texture. Naturally the very first thing we thought of building to highlight this piece was the crenelation of a microscale castle. 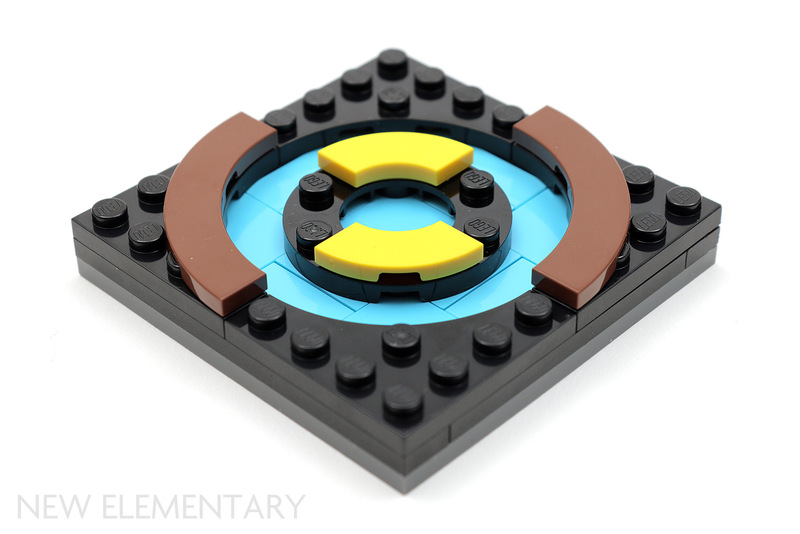 So to give homage to the digital pixels and medieval hexagonal qualities of the Nexo Knights, and as an excuse to throw in our prized New Elementary tile, here's a MOC. The spider comes in all sets in this wave, i.e. the three named above as well as 72001 Lance's Hover Jouster, 72004 Tech Wizard Showdown and 72006 Axl's Rolling Arsenal. 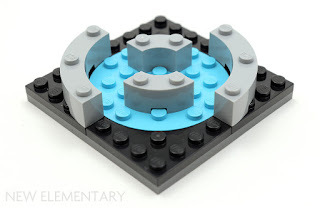 The part is already available at BrickLink. Lastly there’s these helmet wings, or perhaps Nexo horns. These are super cool looking, and were definitely one of our most anticipated pieces. But they turned out to be slightly difficult to use. Starting with the flange around the small bar segment: it’s... hexagonal. This makes them stressed when trying to line them up on the same plane in things like binoculars or clips. Here's an example of them spanning across a three-stud length. Clearly two is too close and three is too far away to make them meet up perfectly. 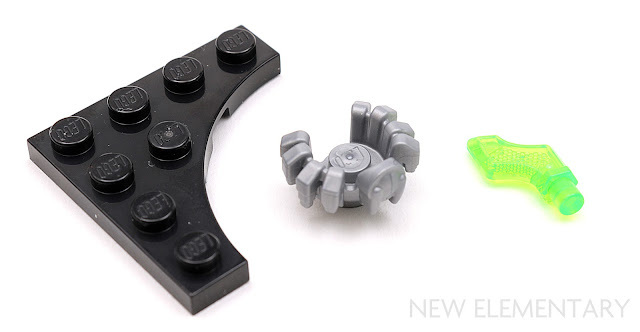 The Nexo horn comes in all sets in this wave except for 72001 Lance's Hover Jouster. The part is already available at BrickLink. So that's our Nexo Knights 2018 new parts overview. We're super excited to see what people come up with for these parts. 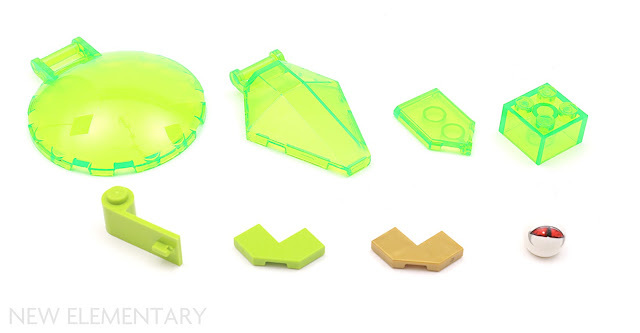 We’re definitely glad for the new colors of tiles, and especially the new parts in the juicy color of Trans Bright Green. When you combine Castle and Space, one can hardly go wrong. But when you add cool new pieces on top of that it's even better. Thank you LEGO. That 1/4 circle piece should be EVERYWHERE!!! Or should be a more common piece. I’m sure it will. Parts often start as exclusive to one theme. Very exciting reviews! 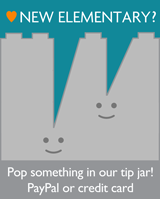 Very exciting pieces! Good job as always. 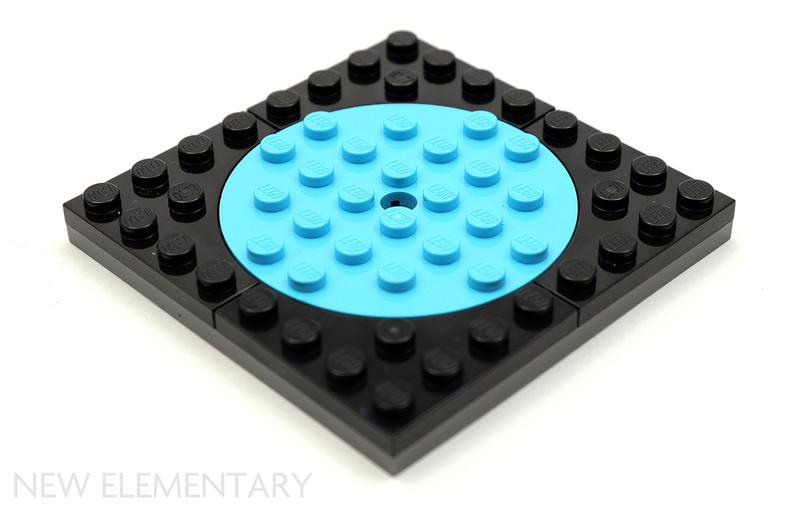 The 4x4 with cutout is of particular interest to me, as i am currently modeling 10:1 bricks, and a stud is a 6x6 circle. I hope to soon see a 3x3 macaroni tile and brick. Oh man I'm definitely gonna have to pick up more Nexo Knight sets after this review. I love action themes as they're always giving me weird parts like these. 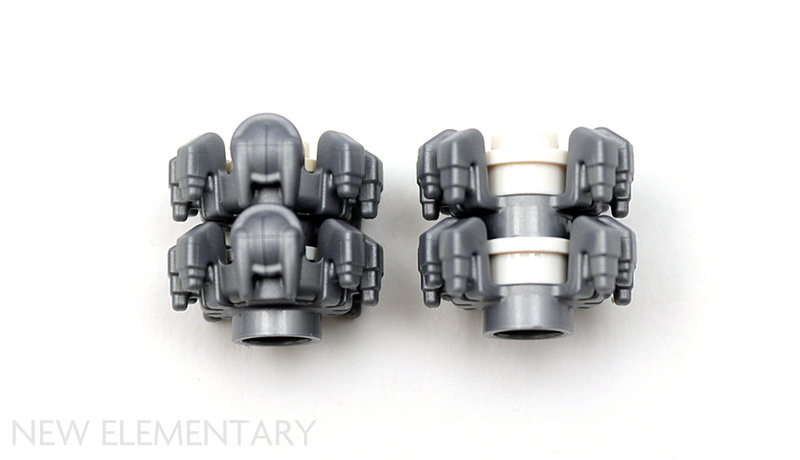 To a CCBS builder those horns would be pretty easy to integrate into our builds cause CCBS shells have 3.8 MM holes and they could make great greebles. That little spider piece is neat to. I'm kinda bummed it doesn't have a hole through it though. A bunch of those stacked on each other with a rod going through them would make a great staff. Still though exciting new pieces and I'm most interested in those recolors. I really like that bright green color, and always have. We got it in a lot of Hero Factory Sets before that theme went kaput. its nice to see another action theme utilize it heavily. 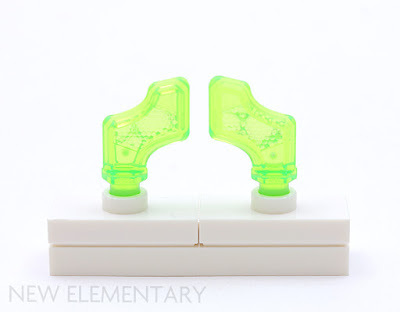 One nice thing about those horn/wing pieces is they have a similar sort of texture/visual effect to the "energy shield" from Rocka in the Hero Factory Breakout wave. 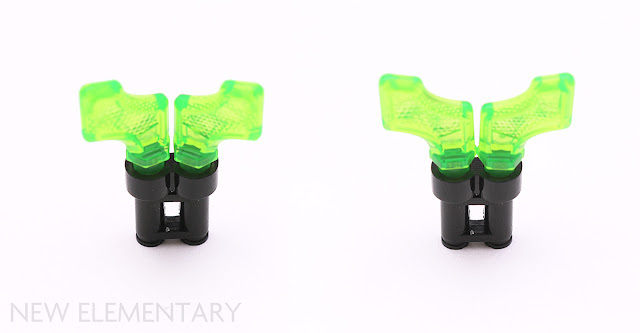 The same applies to the "energy wings" from Galaxy Squad, though these new parts will likely be easier to integrate into CCBS models than the neck bracket on those. 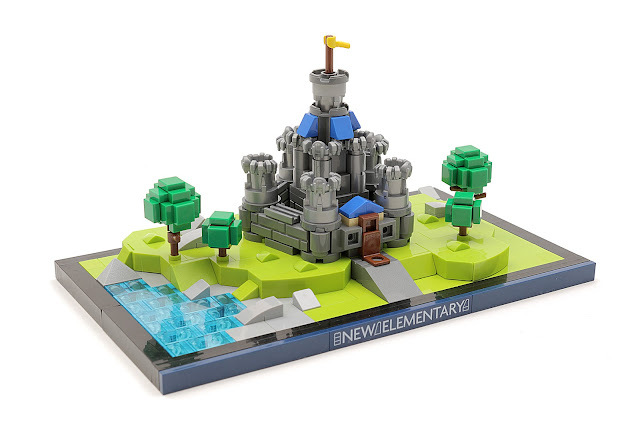 Really none of these parts/recolors interest me, but nice castle!